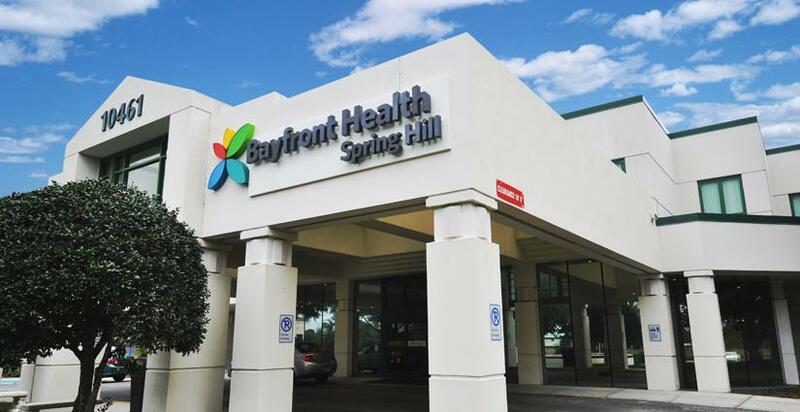 Bayfront Health Spring Hill is currently seeking an OB/GYN to join an employed group. Located in Hernando County, Spring Hill is situated along Florida's western coastline four miles from the Gulf of Mexico, and 40 miles northwest of Tampa. Spring Hill is home to many beautiful parks including Weeki Wachee Springs that features the world's only underwater spring theatre, while the Weeki Wachee Preserve offers hiking, biking, canoeing and kayaking. The adjoining Buccaneer Bay Water Park brings summer alive with swimming, water slides, kiddie's pools and playgrounds. Less than an hour away, the Tampa Bay area contains some of the state's premier pro sports teams, museums and family attractions. Bayfront Health Spring Hill is a 124-bed, acute-care hospital that was named in the top 10 percent in the nation for obstetric care by HealthGrades.com and is a certified primary stroke center and an accredited chest pain center. Bayfront Health Spring Hill features the county's only OB and Level II neonatal intensive care unit, as well as the county's only wound care and hyperbaric medicine center. Bayfront Health Spring Hill's extensive women's services include digital mammography and computer aided detection. The hospital's comprehensive range of health services for acute and emergent situations are designed to meet the growing needs of Hernando County, making the facility a trusted provider of quality healthcare. Bayfront Health Spring Hill is a 124-bed, acute-care hospital that was named in the top 10 percent in the nation for obstetric care by HealthGrades.com and is a certified primary stroke center and an accredited chest pain center. Bayfront Health Spring Hill features the county's only OB and Level II neonatal intensive care unit, as well asthe county's only wound care and hyperbaric medicine center. Bayfront Health Spring Hill's extensive women's services include digital mammography and computer aided detection. The hospital's comprehensive range of health services for acute and emergent situations are designed to meet the growing needs of Hernando County, making the facility a trusted provider of quality healthcare.